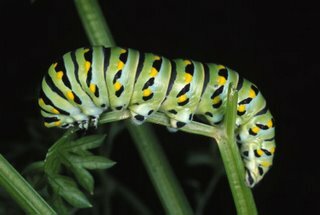 My fennel was planted for the Swallowtails, too. It managed to reseed in spite of the munching, and I see the caterpillars frequently. 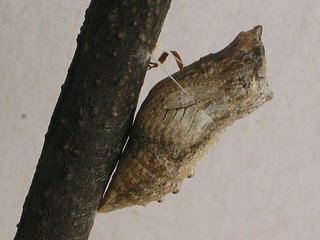 I've never seen a chrysalis or an emerging Swallowtail. Lucky you! Well done Nelumbo. Your efforts are obviously paying off both with the caterpillars and resulting butterflies. Hey! 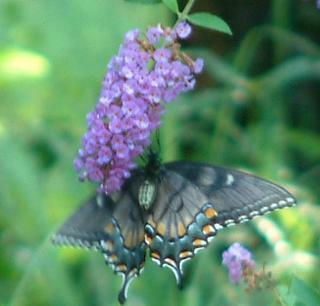 I just posted a pic of an eastern black swallowtail today. They're everywhere in my garden right now - they love the mexican sunflowers. Congrats on your butterfly success! Great site, I have you on the list to refer back to, time and again.